When we discuss the concept of change, like many other issues we look at problems external to us and how and why they should be “fixed.” We judge, attack, criticize from an outside point-of-view the actions of other nations, cultures, and individuals. 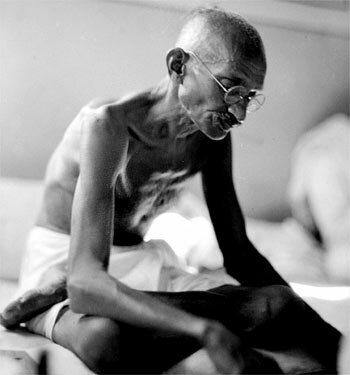 What strikes me the most about Gandhi’s list is that his fundamentals for change all ask the reader to look inward first – to resolve inner-conflict, discover inner-peace, and in turn strengthening the self. Lately, I’ve realized that the better I know myself the easier it is to see and understand the external world. Seeing the motivations and desires that drive the actions of others is quicker and clearer. But this clarity erodes as quickly as it blossoms if the commitment to self-discovery and inner-change ends. With all of the anti-bullying work we do at Chase Wilson Education, we try and focus on strengthening the inner-confidence and understanding of the individual first – hoping that the change will permeate outward organically from there. How effective could Gandhi’s Fundamentals be if introduced and taught properly to students? And not as religious or spiritual rhetoric, but as cornerstones of mental and emotional skill-building? But no matter the phase of development and growth each of us are at, this list seems to one that provides a great depth of wisdom and insight. The striving for inner-strength and courage should be endless – and the best way to start “changing the world,” means looking deep down into the abyss of one’s self. Unfortunately this action takes a great deal of courage. I believe that change, must like the pursuit of happiness, cannot come from nor should be reflected by looking at external sources. It starts within. ~ by Dan Fabrizio on August 31, 2011.